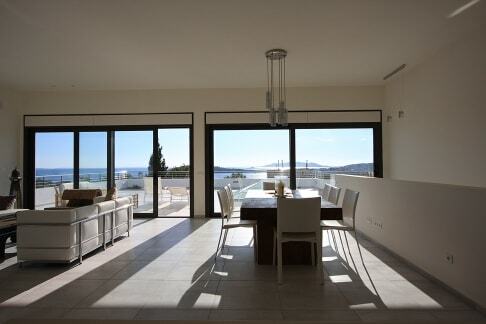 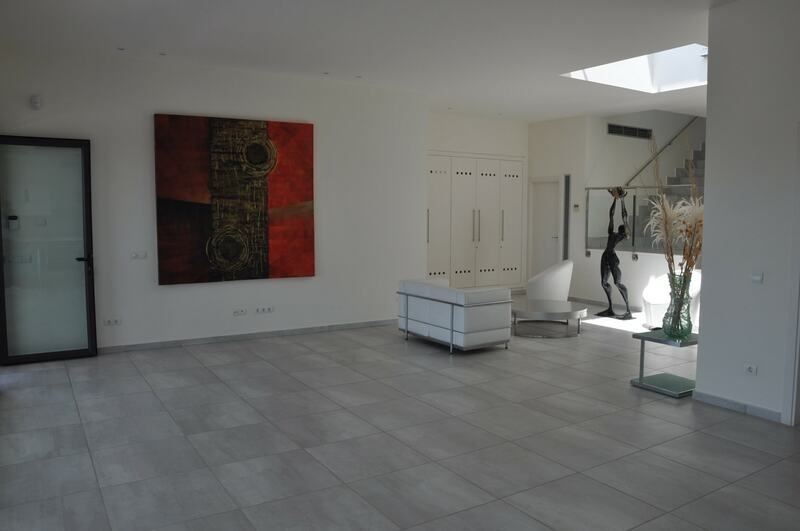 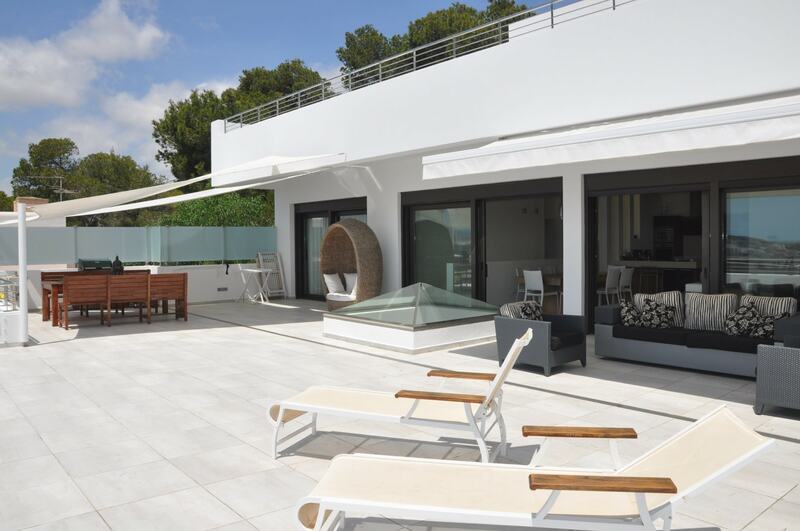 Precious modern villa, recently built and with great views to the sea and Ibiza City. 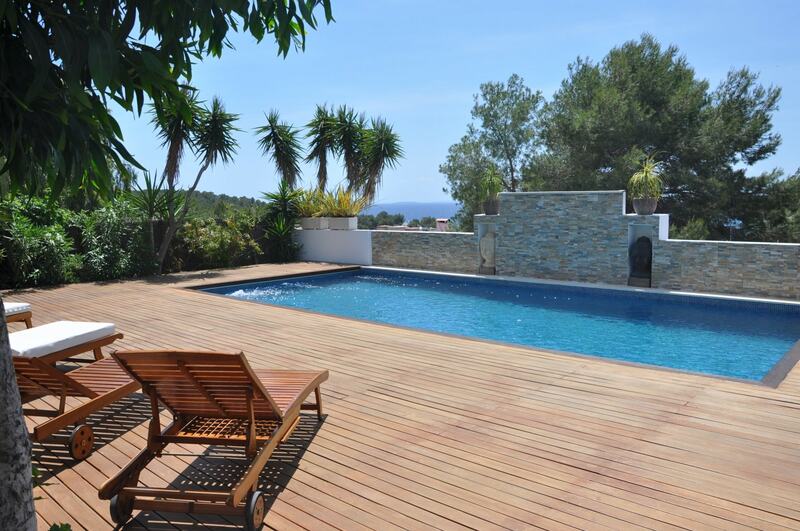 Formentera and Talamanca beach are just 500 meters away from the beach. 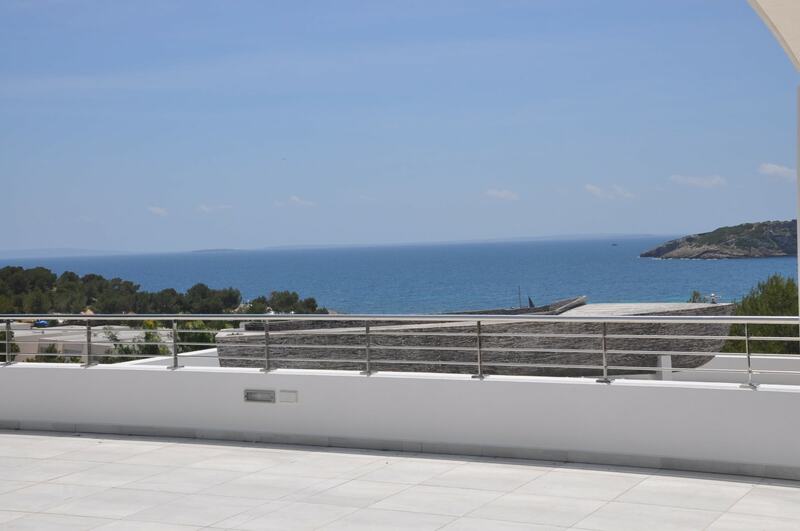 Ibiza town and Jesus are also very close by car. 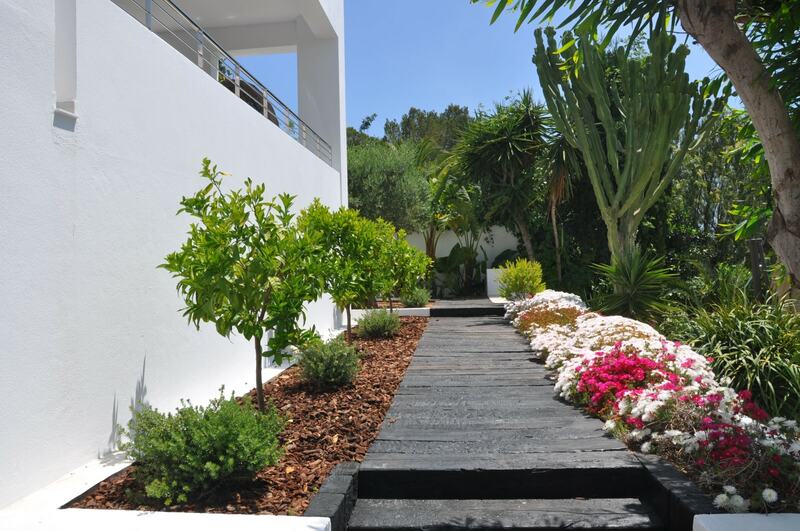 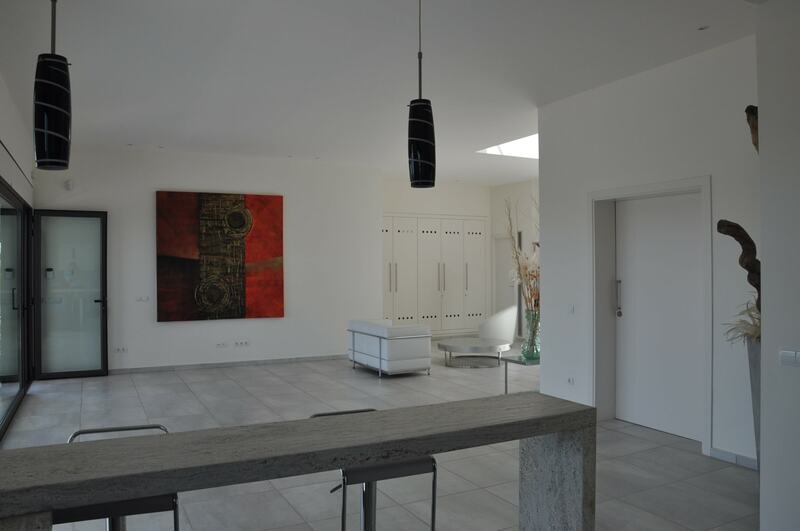 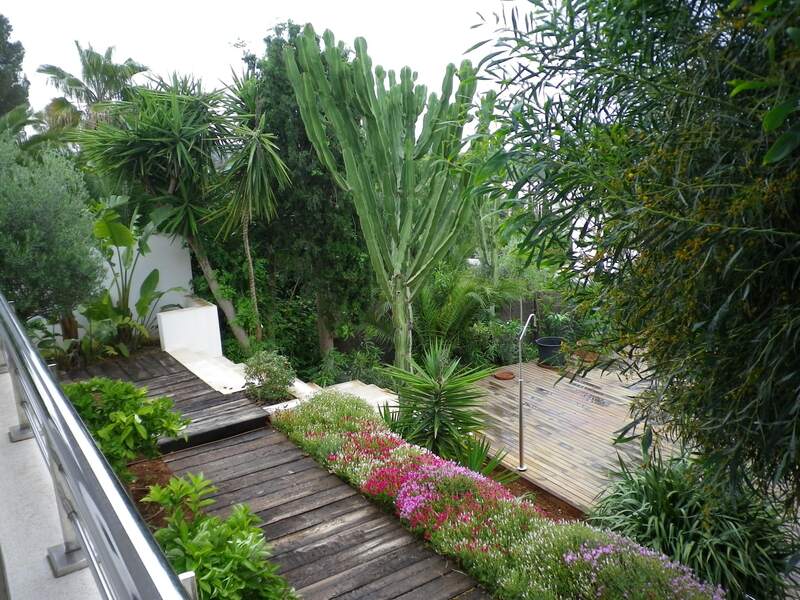 The villa has 600 m2 with 1.000 m2 of land, is completely fenced with automatic gate. 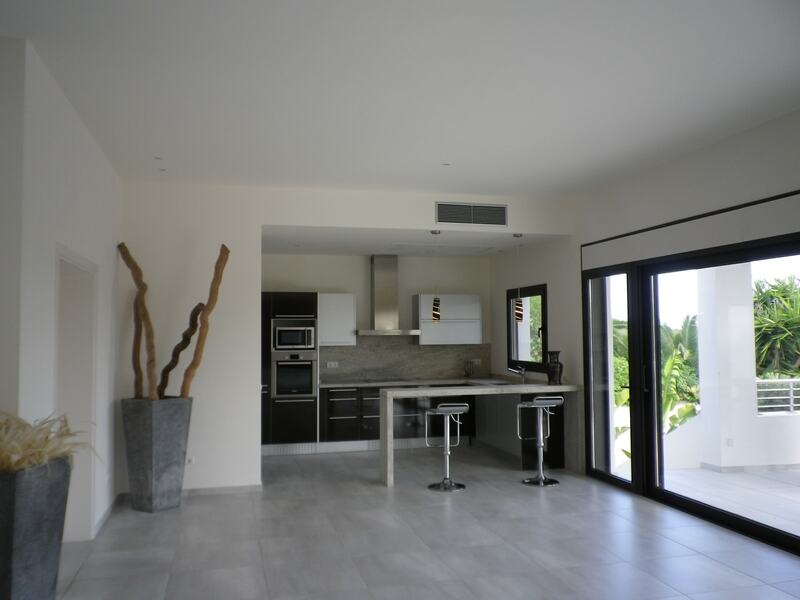 The villa has been built on 3 floors. 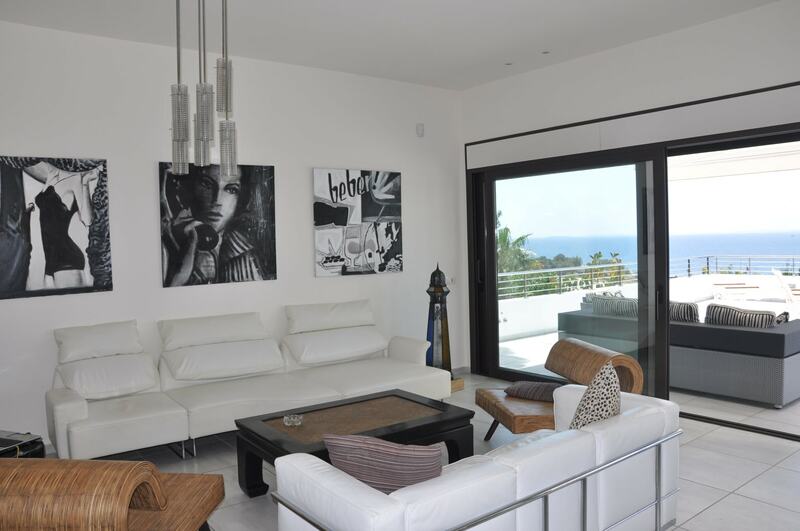 On the first floor we find a large living room with two sofas, two double bedrooms with own bathroom. 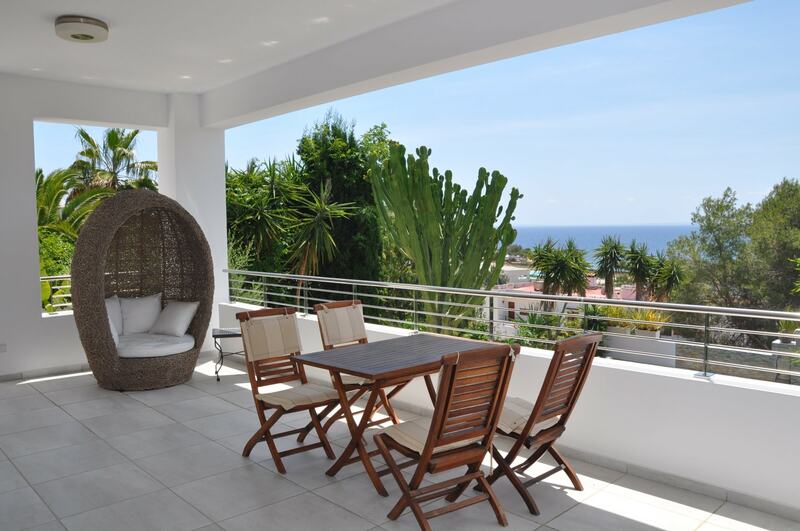 On the second floor: 2 double bedrooms each with its own bathroom, and one of them consists of a large terrace overlooking the sea. 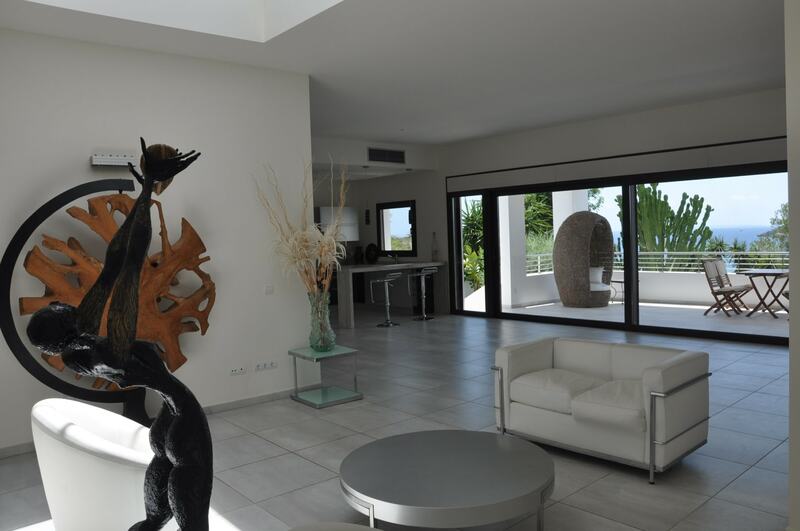 The living room is bright and spacious and has a large terrace prepared for lunch, sun loungers, sofas, and a view that takes your breath away. 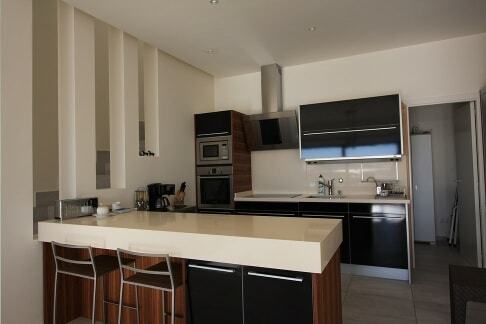 The kitchen is fully equipped, with breakfast room, guest bathroom and laundry. 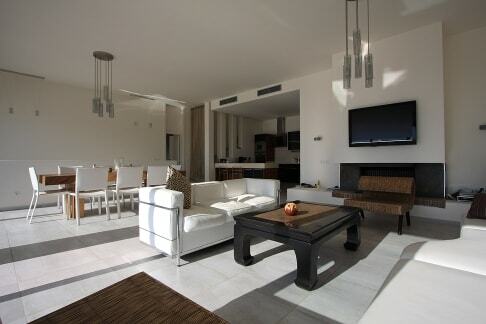 On the third floor there is a double bedroom with bathroom and private terrace. 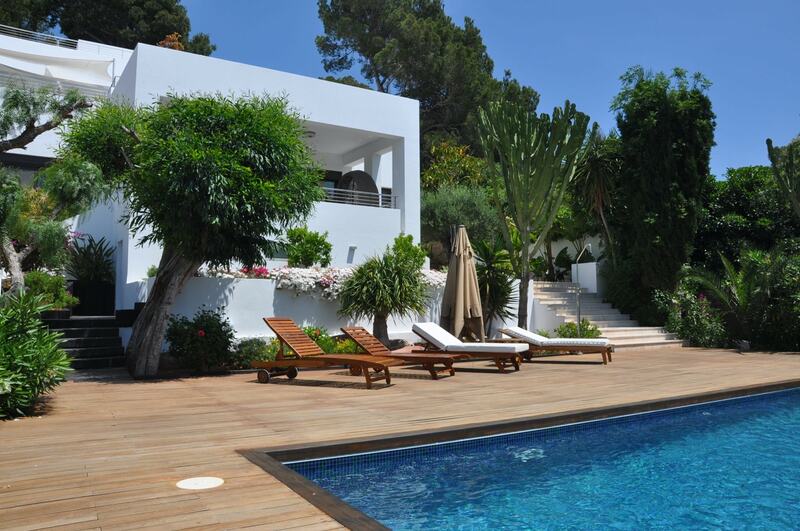 In addition to all this the villa consists of Wi-fi, alarm and air conditioning. 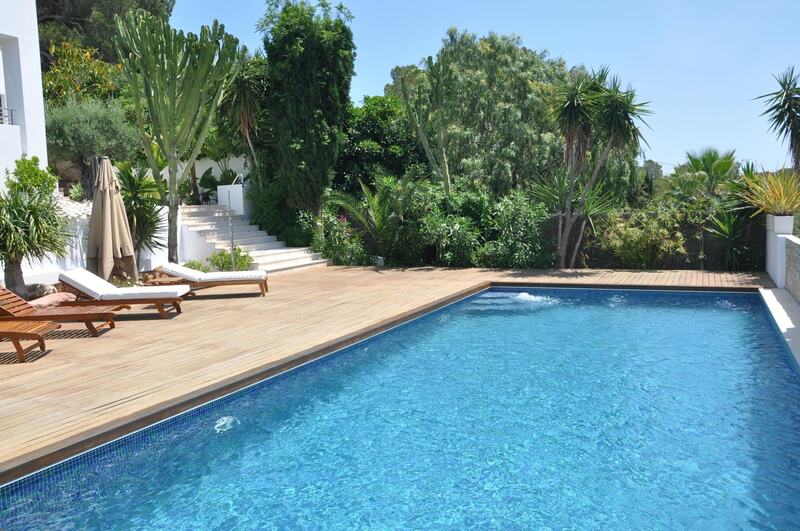 The 10 x 5 meter pool is located on the lower level surrounded by a lovely garden. 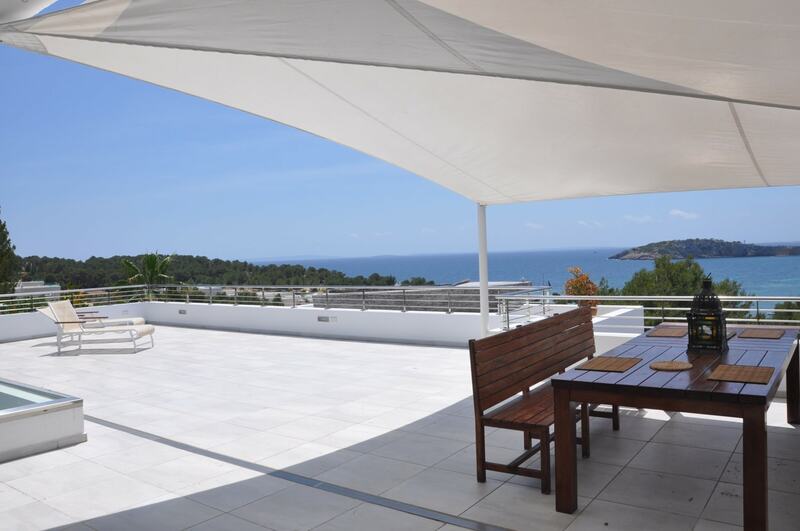 The situation in which this villa is located, the extraordinary view and the quality of it, make it a perfect paradise for your holidays in Ibiza!